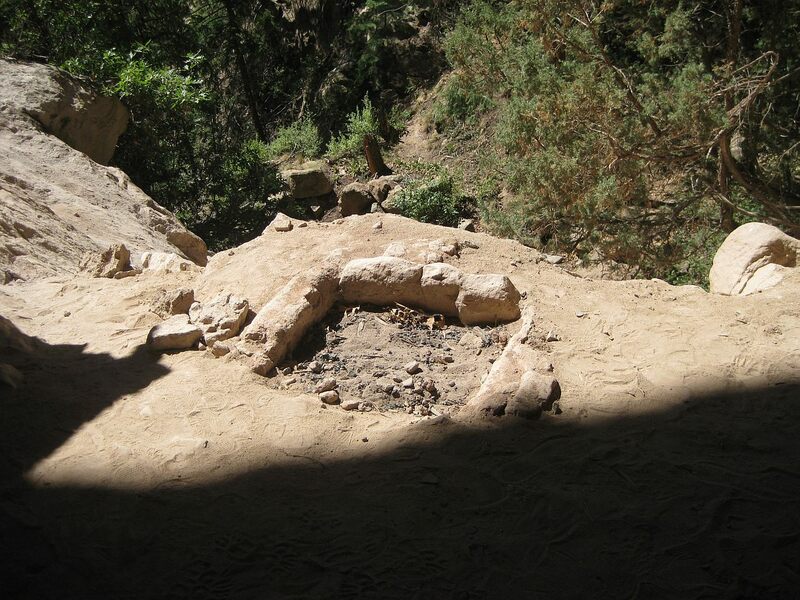 The Gallina people occupied this area from 1100 AD to about 1275 AD, when they suddenly vanished. 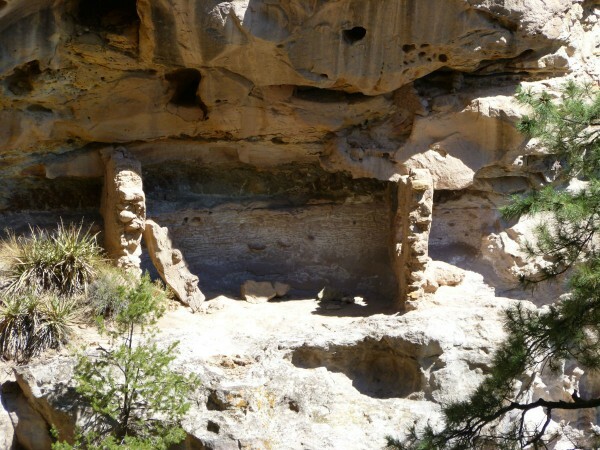 None of today’s Pueblo people claim the Gallina as their ancestors. By some accounts the Gallina were very isolated, defensive and violent. 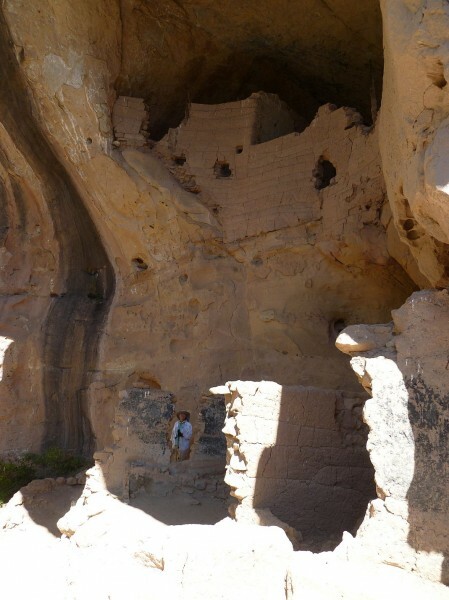 Certainly this cliff dwelling looks to be situated in a VERY defensive manner. Interestingly, David Roberts in his book “In Search of the Old Ones” recounts a bit of relevant oral history of the Jemez people. 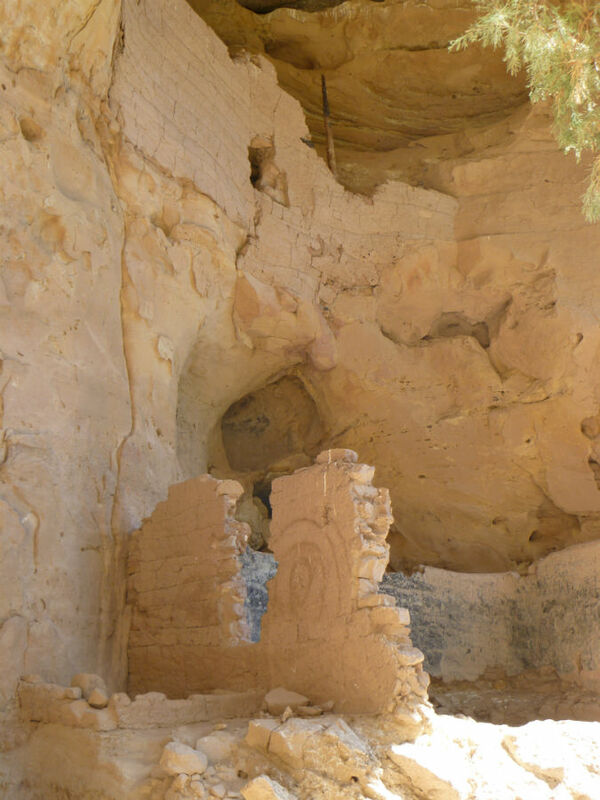 According to their history, the Jemez originated in the San Juan Basin area, but moved out of there in a large migration toward the current Jemez area. 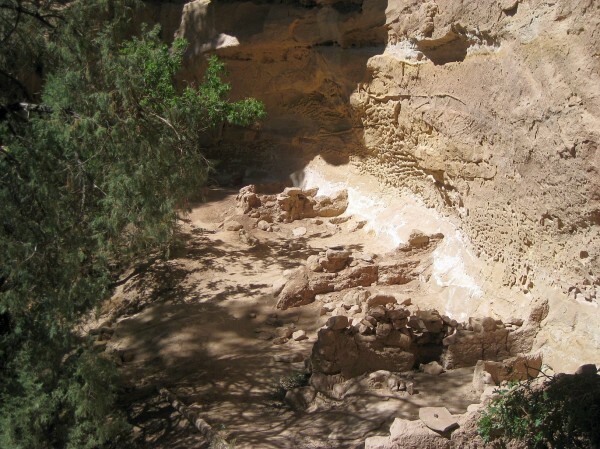 While en route an advance Jemez party passed through the Gallina territory and encountered the Gallina. At first the members of the Jemez party were treated well, but suddenly the Gallina turned on them and killed the Jemez. Unfortunately for the short sighted Gallina they didn’t realize the entire Jemez contingent was not far behind. Within a matter of a few days, the Jemez killed all of the Gallina in retribution. This story does seem to support the rather mysterious disappearance of the Gallina in 1275 AD. 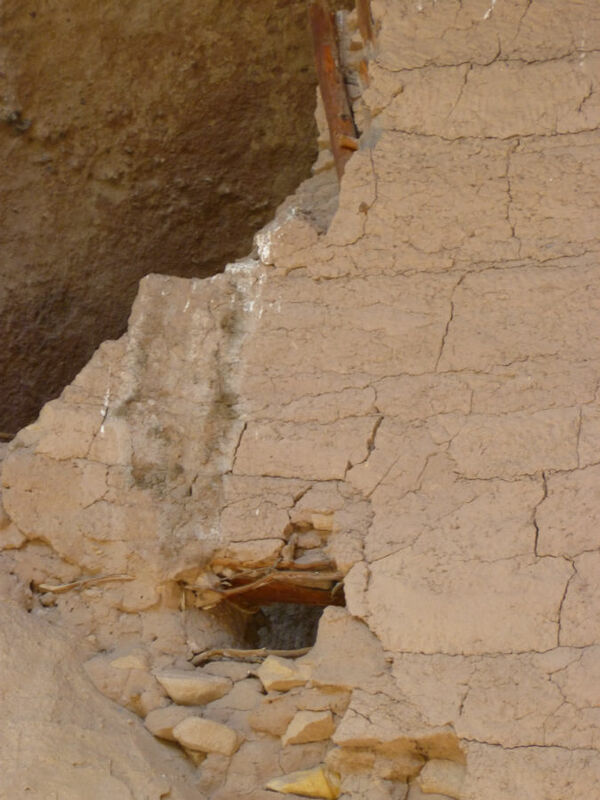 Add to that almost all Gallina skeletons found to date exhibit signs of a violent death and it suggests an important safety tip: Don’t mess with the Jemez. 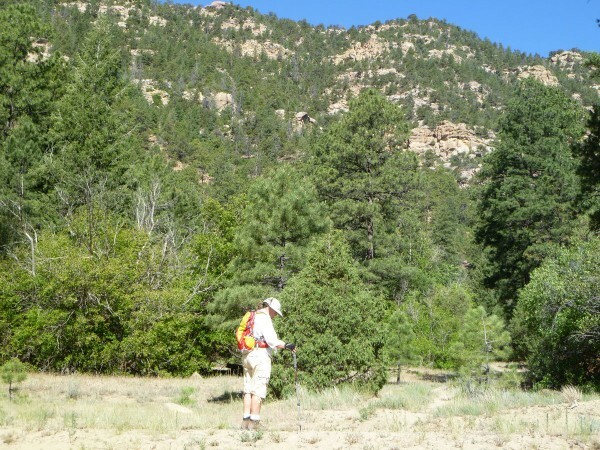 This site is located on public land in the Santa Fe National Forest. 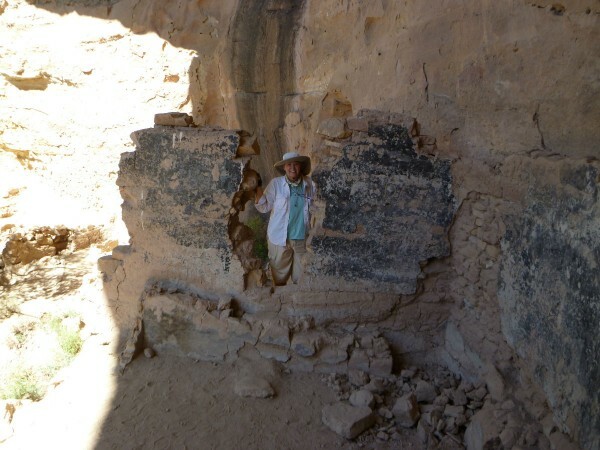 Its location has been published in a place or two, which has resulted in increased visitation and vandalism. There is some indication the Forest Service has considered closing the site to protect it. Most of the hike in to the site was very nice and shaded. The climb up the canyon side wall was annoyingly steep, but didn’t last long. Most of the ruins are pretty dilapidated, but there is an upper roomblock that appears to be in very good condition. I’m sure this is due to its relative inaccessibility, which has protected it from yahoos. Eyeballing it from the ground, I’d guess it’s a short 5.10 to 5.11 climbing route to get to it (or a looooong ladder!). That’s way beyond my pay grade though. 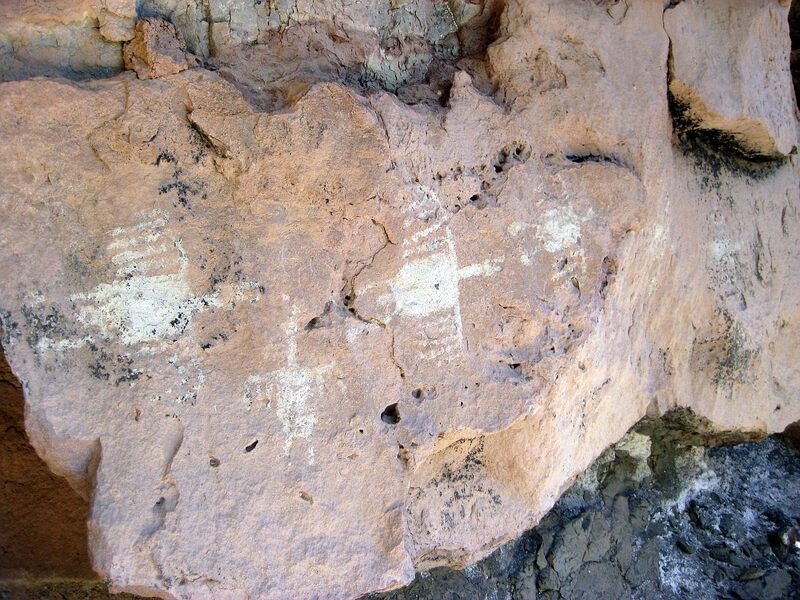 Just below the site were some nice pictographs. They look somewhat bird-like and are believed to represent Great Blue Herons. I suppose it would help to be a stoner to see that in them. The start of the hike into the site. Jeri in wall gap. I wonder what’s above her? Oh, THAT’s what’s up there! Closeup of upper roomblock holes showing wood reinforcing. Looks original. Another view of upper roomblock. Note interesting spiral on lower wall segment to right of gap. I couldn’t tell if it was original or more recent vandalism. This was one of several of these features at the site, presumably hearths. 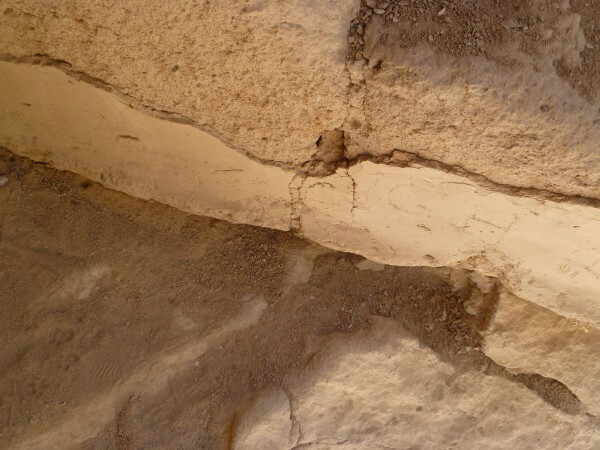 Closeup of adobe or plaster veneer remaining on lower portion of a wall. Row of roomblock wall foundations. This was a very wide ledge. The hole in the wall room. That’s a BIG drop off to the right. 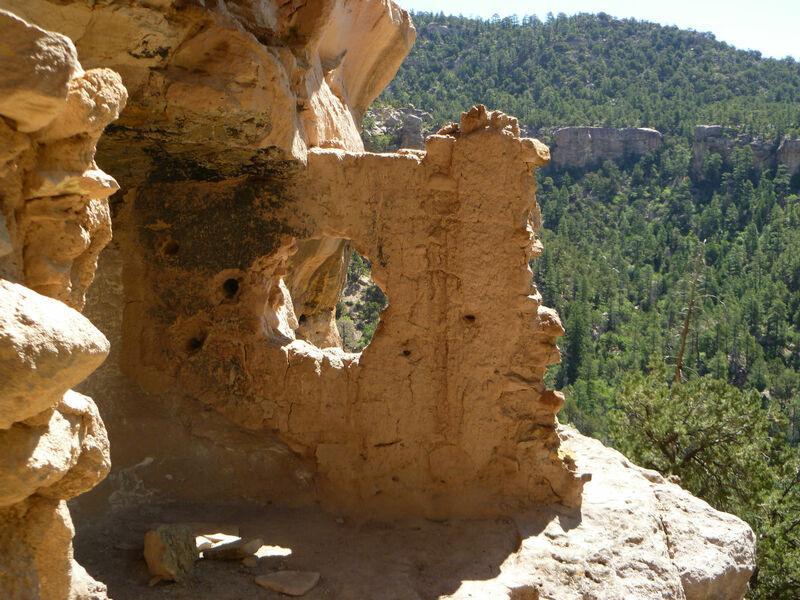 The hole in the wall room viewed from across the ravine. Pictographs of Great Blue Herons below the site. Yeah, right, Herons. Of course.